Every Thanksgiving, the Sharon High football team takes on Oliver Ames. This game always possesses high emotion and passion as it is the last time the players take the field for another nine months. This past Thanksgiving was no exception, as the Eagles clobbered the Tigers 33-8. However, this Eagles win is overshadowed by senior Juvan Elisma breaking the school’s rushing touchdown and yardage marks for a single game. “The Juice” ran loose for 321 yards and four touchdowns, both school records. “It was surreal to be right by his side while he just ran over the Tigers defense,” junior tight end Drew Naisuler said. “Right before his last run I told him in the huddle this is your last time ever running the ball. Make it count,” Naisuler added. He did. On Elisma’s last ever run wearing the Eagles uniform, he raced past the tigers for a career long 80 yard touchdown. On this run, he surpassed Jim Morganelli’s record 261 yard game set back in 1973. Although Elisma’s 80 yard touchdown may have been the record breaker, his 60 yard touchdown in the second quarter was the most impressive. “He got to the edge, laid a massive stiff arm, and was off to the races,” junior Jake Romanow said. “One of the biggest stiff arms I have ever seen,” Romanow added. This season has been unforgettable for the Eagles, finishing with a record of 6-5, their second best since 1986. 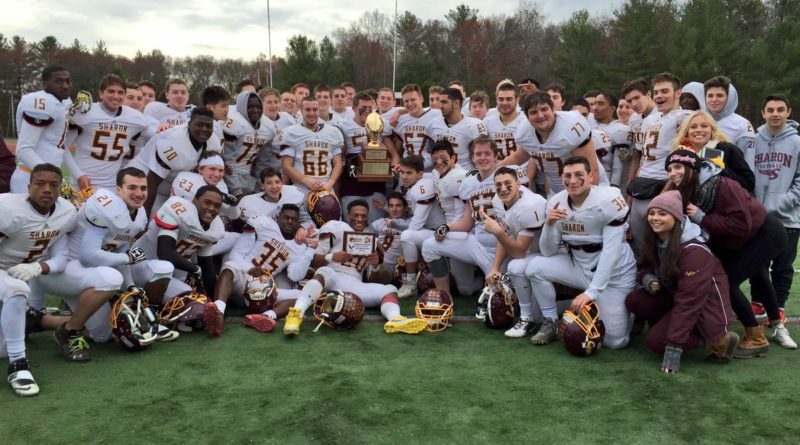 They exceeded all expectations and capped it off with an absolute demolition of arch rival Oliver Ames. ← Donate a Gift to Casa Nueva Vida!